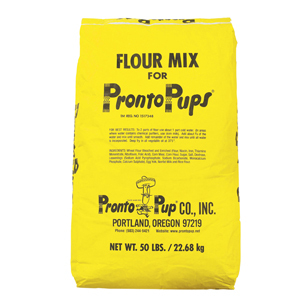 Corn Dog Supplies - Flour Mix & Batter in Oregon | Pronto Pup Co., Inc.
One 5 lb bag Pronto Pup corn dog Flour Mix w/sticks – Free Shipping! 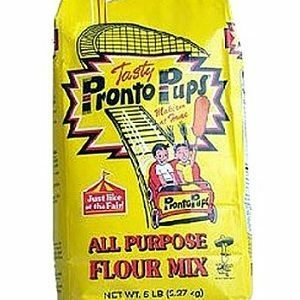 Two 5 lb. 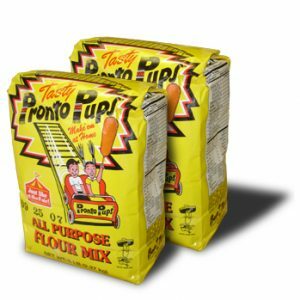 bags of Pronto Pup corn dog Flour Mix w/sticks – Free Shipping!